Don't you just love bold lines? Coming back to lines, one of my favourites artist that based his work on thick lines was Keith Haring, such a talent! I love his bright and bold figures, they have so much energy, with a real power to communicate. If you never heard of him, check the official website, I am sure you will like his work too http://www.haring.com/ his drawings put a smile on my face! como siempre, sorprendente. Me encanta el esquema de las rosas y por supuesto, el color.....Me emocionó leer lo de Garfield y de cómo nos "arreglábamos" con cul+alquiercosa en los viejos tiempos...Abrazos!!!!!! Good job Flo! Inspired by Keith Harring but in a feminine way :-) nice! 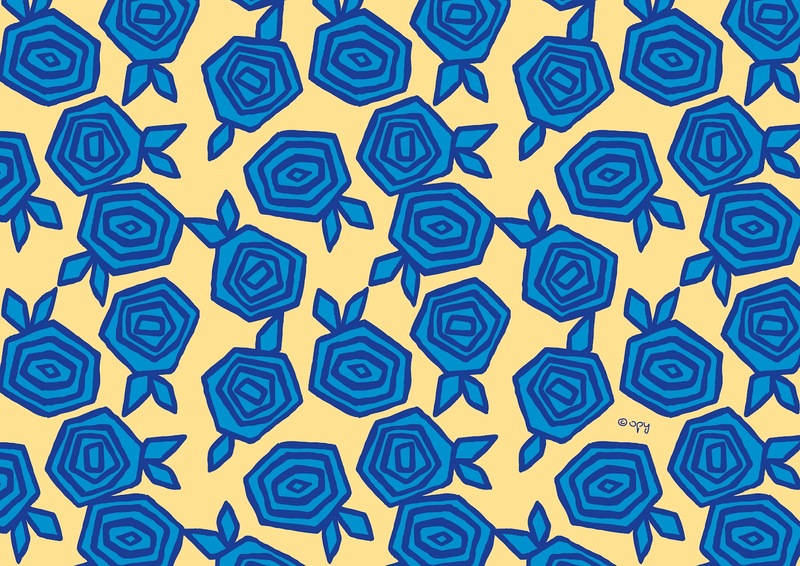 It's a great way to do pattern design that you can play with form, colour and style. And even texture! Fun project to do as we are all inspired from everyday lives!